Iain Kennedy, medical practices executive partner. More than 100 workers have come forward since whistleblowers alleged a “severe bullying culture” at NHS Highland. The response has “staggered” union chiefs who, along with the senior medics who brought the issue into the spotlight, are calling for an independent inquiry to be held into the claims. GMB union regional organiser Liz Gordon said: “We continue to be inundated with testimonials since the issue was brought into the open, and now have well over 100. “I find that staggering and well beyond what we thought the extent of the problem was. “Usually you find people run for cover when an issue is raised, but this time they are running towards us to voice their concerns. She added that the GMB – who have placed a full-page advert in today’s Press and Journal – has had testimonies from a whole host of sectors across NHS Highland – from nurses to those working in support services as well as clinical and administrative roles. They publicise the fact they have their very own law firm, UnionScotland, and would welcome new members. The four Highland clinicians who spoke out are Eileen Anderson, consultant radiologist at Raigmore Hospital in Inverness; Lorien Cameron-Ross, out of hours GP at Raigmore; Jonathan Ball, a GP at Nairn Medical Practice; and Iain Kennedy, executive partner at Riverside, Foyers and Cromarty medical practices. In a publicly-issued letter, they wrote: “This practice of suppressing criticism, which emanates from the very top of the organisation has led to a culture of fear and intimidation. They, and the GMB, have since repeated calls for an independent public inquiry. 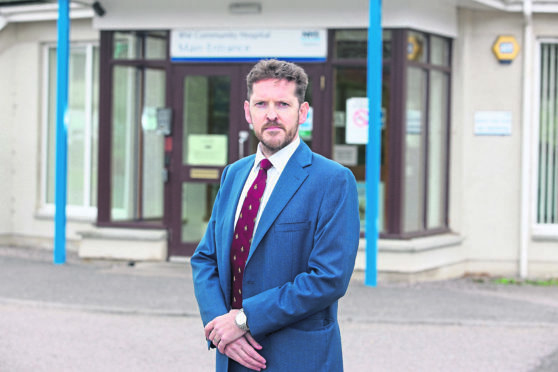 NHS Highland would not comment specifically on the GMB advert, but a spokeswoman said: “NHS Highland does not tolerate bullying and harassment behaviours. “The board takes such allegations extremely seriously and any complaints made will be fully investigated through appropriate procedures. “There are various ways in which our staff are encouraged to raise concerns. The process for reporting concerns would be through your line manager.